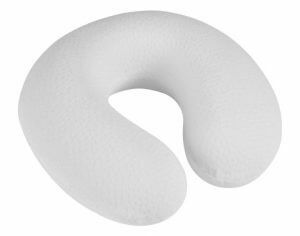 Neck pillows are helpful to support your neck and head when you’re resting or sleeping, especially when you’re traveling. These pillows vary according to how they are made of – memory foam or inflatable. Choosing the best one would depend on how you will use it and on the type of comfort you’re looking for. 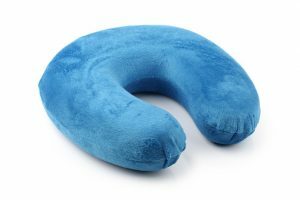 Before you start worrying about selecting a neck pillow, this article will guide you to get the best one. 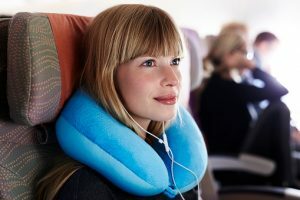 Here, we will discuss the buying guide of choosing a neck pillow so you will know which points to consider. We will also provide you with the top 7 list of the best neck pillows for your reference. Without further to do, let’s get into this! In this section, you’ll learn the important points when buying a neck pillow. Every point is thoroughly discussed in the following sections, so please pay close attention! 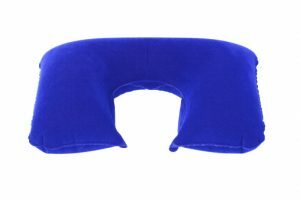 Neck pillows come in two types – inflatable and foam (or other material content). Choosing the type generally depends on the comfort you want, so let’s check out each type so you will understand which is best suited for you. The inflatable type is very convenient to bring around wherever you want to go and whatever means of traveling you want to ride on. It is also lighter to carry compared to the other type, and it doesn’t add too much weight to your luggage. You can easily keep it too, especially when you’re at work. Another good thing about the inflatable type is that there are many cheap items with good quality that you can check out on the market. One of the issue with this type is when you are traveling on a plane. As altitude increases, air pressure decreases, this means that at sky level your neck pillow will start to inflate which may become uncomfortable for some people. The foam type (or other material types such as polyester and synthetic fiber) offers great stability compared to the inflatable. However, this type is not easy to keep around at all times because it consumes space and adds weight to your luggage. It is also more expensive than the inflatable type. Nevertheless, if you want a stable resting or sleeping, this type is a perfect choice. If you’re talking about the stability and security of your head while traveling, the foam type is better. This is highly recommended when you’re traveling by car or any land vehicle as the risk of your head moving while sleeping is higher. It allows your head to be in a fixed position regardless of the travel movement. Your neck or head hurts when you’re in a bad sleeping position because the force is concentrated on a single spot. When this happens, your blood circulation is also affected. 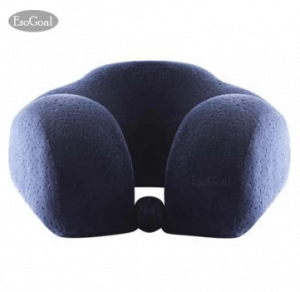 This is why you need support from a neck pillow that can comfortably place your head and neck in a convenient position, preventing the disturbance of blood flow. The softness or hardness will depend on your preference and the situation you are using it in. Aside from focusing on the content of the neck pillow, it is also important to consider the cover’s fabric primarily because of comfort. The temperature helps in determining which type of fabric is best. If it’s the summer season, you must consider the fabric that’s a lot cooler, while during the wet season, you might get a pillow neck with a fabric that’s a lot warmer. It can’t be avoided to sweat when sleeping especially if the temperature is high. You’d see perspiration stains and drool on your pillow, which makes it unsanitary. When this happens, all you want to do it is get rid of the stains, but how can you do this if you cannot take off the pillowcase? It’s best to get a neck pillow with a removable cover that’s easy to wash. Through this, you can maintain the cleanliness of your pillow. We finally reached the top 7 best neck pillows you can buy online. This list will serve as your reference in choosing which items are the best on the market. Tomsoo introduces an inflatable neck pillow that’s very handy wherever you are. The pillow can be easily deflated with its covered air hole where you can fold and place it in your pocket. The inflatable neck pillow is also lightweight. However, some people might find its frill a little uncomfortable when touched on the skin. Still this is splendid for frequent travelers and office workers who are looking for an easy-carry neck pillow. This neck pillow allows you to position your head the way you want it. The height of the pillow fits the height of your neck, providing you with a full support. Tilting your head a little in any direction won’t cause neck pain too. The pillow is also packed with memory foam for an excellent softness. Its remarkable velvet cover has micro holes technology that releases odor, thus keeping it fresh. However, this is not recommended for asthmatic people or those with respiratory illnesses because the fabric easily absorbs dust. You can use this neck pillow in your office as well because of its sober color and design. Cabeau creates a wonderfully designed neck pillow that adds fun to your sleeping. It has a hands-free music pouch where you can safely place your mp3 player or smartphone to play your favorite playlist while traveling. This is fantastic for music-minded travelers who can sleep better while listening to their favorite hits. It also provides a 360-degree neck support, conveniently supporting your head if it leans to your left or right and preventing your head to fall forward. It has an adjustable lock as well to always keep the pillow in place. This amazingly designed neck pillow lets you enjoy a bed-like experience after a long and tired day. It has 3 layers of inflatable collar that provides the same comfort when you are lying in bed. 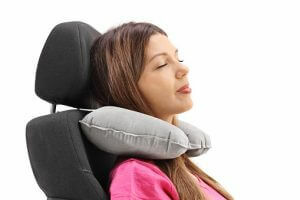 This is good for tired working individuals who want to simply relax using a neck pillow. Included in the package is its pump that you can conveniently use to inflate the pillow. It’s made of flock materials that offer great smoothness and softness. Also, this pillow is warm to wear, it is recommended especially in wet season. 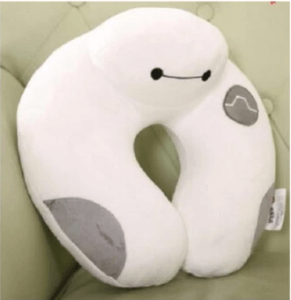 This cute Baymax neck pillow creates good comfort anywhere you are because of its 100% softness. It’s made of a combination of polyester and cotton materials that make sure you get a complete softness. This is great for kids and adults (travelers or non-travelers) who simply want pure comfort when resting even when not on a travel. 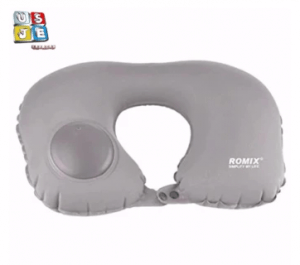 Its Baymax design has an extra rest support for your head that prevents neck pain. Its foam interior is made of a PP material that does a good job of providing convenience and comfort. This pillow is smaller than other products, so it is recommended for children and ladies. This easy-to-keep compact inflatable neck pillow won’t give you a hassle when traveling. It can be quickly inflated with its push-on button that automatically allows air to fill the pillow. Using the same button, you can also deflate the pillow and fold it for an easier packing in your bag. 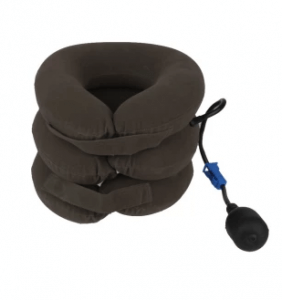 This is perfect for fast travelers who do not have much time to inflate and deflate a neck pillow. Its material is made of a sturdy and smooth fabric that makes it really convenient for your neck. Its U-shaped design has a lock system that keeps the pillow in place even if you’re moving. 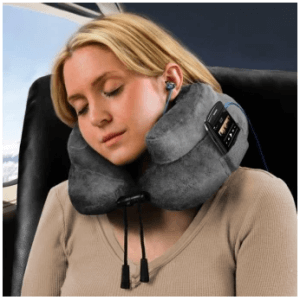 This neck pillow assures to make the most out of your sleep and rest. Its internal support, the strengthened ribs, is curved into a C shape to support your neck. 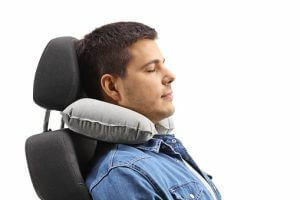 This is highly recommended for car and plane travelers who don’t have much space to lean their neck back when sleeping. Its material is made of polar fleece for a softer and smoother feeling when touched by your skin. 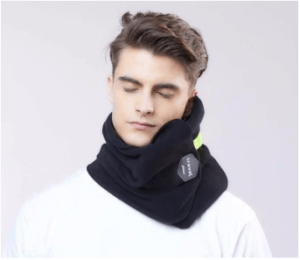 Since it covers your whole neck, it gives you more warmth than other neck pillows. You might sweat a lot with this pillow during summer, but since it is machine washable, you can always keep it clean easily. Taking a good nap can help boost your energy to continue the day. But sleeping in a bad position is not healthy; that’s why you need a neck pillow that can healthily satisfy your comfort. 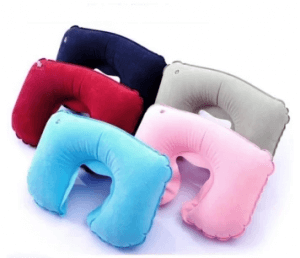 It may be difficult to find the perfect support, but with a buying guide that can aid you to the right one, you’ll definitely get the best neck pillow!